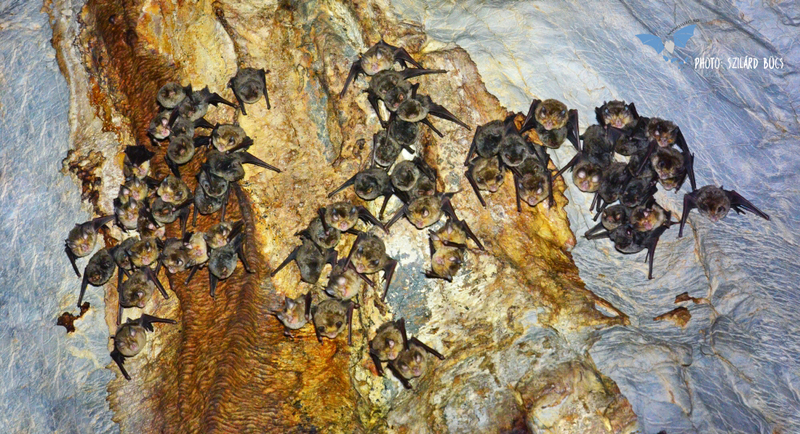 Typical for caves, rare and vulnerable, with under 1.000 bats in Romania. 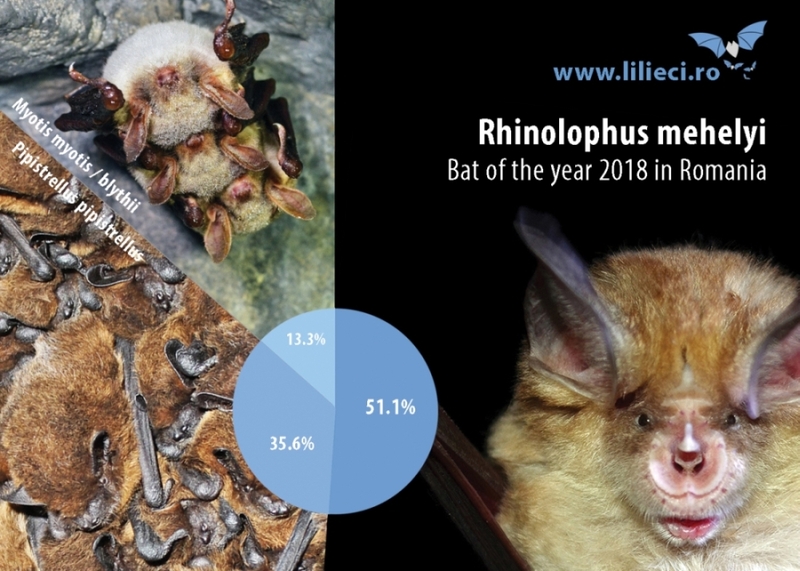 A total of 413 votes were cast, out of which Rhinolophus mehelyi gathered 211 votes (51.1%), while Pipistrellus pipistrellus gathered 147 (35.6%) and large Myotis gathered 55 (13.3%). The voting period started in 6th of December 2017 and lasted till the 26th of January 2018, the public having 51 days to choose their favorite. 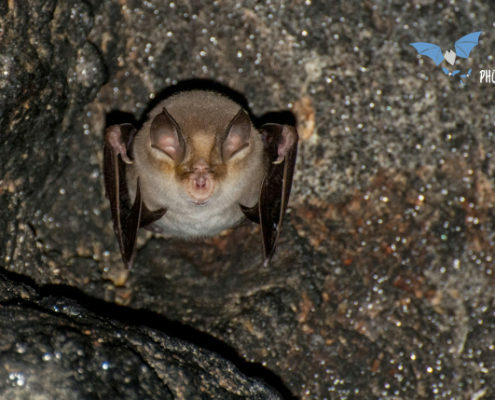 The designation of Bat of the year exists in several European countries, and is based on the importance of the bat species for our environment, or on its research aspects. Sometimes the species is selected due to cross-border links, such as seasonal migration, that does not take into account classical boundaries. At the same time, the designation has a role in raising awareness about the species among the general public. Currently, the European Bat of the year for 2018 is the lesser horseshoe bat (Rhinolophus hipposideros), that gathered 91 votes (40.63%) out of a total of 224. But let’s talk about our winner, Mehely’s horseshoe bat, one of the five horseshoe bats of Romania, named after Hungarian bat researcher Lajos Méhely. 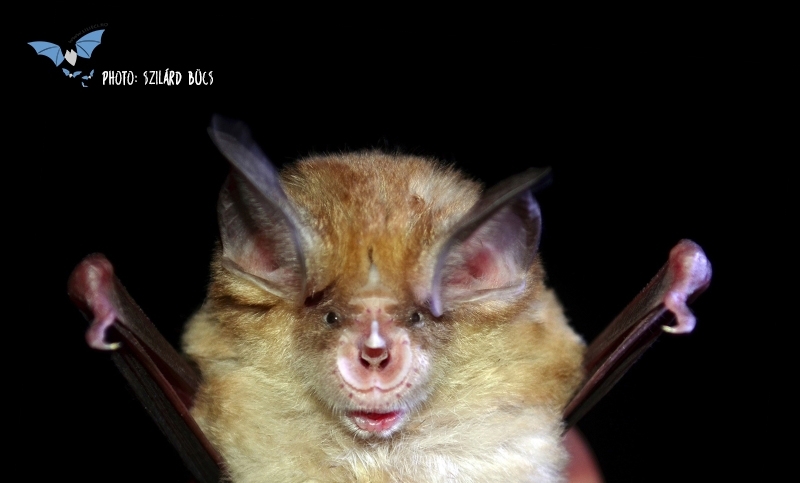 Méhely’s horseshoe bat is one of five horseshoe bat (Rhinolophus) species of Romania, and the largest of the three medium-sized Rhinolophus species. It can be identified based on the nasal formations, which are typical of these species, and through which they emit ultrasounds, in the range of 104-112 kHz. The fur of the ventral side (their belly), often white, is in sharp contrast with the fur on their dorsal side (their back), which is grey-brown. 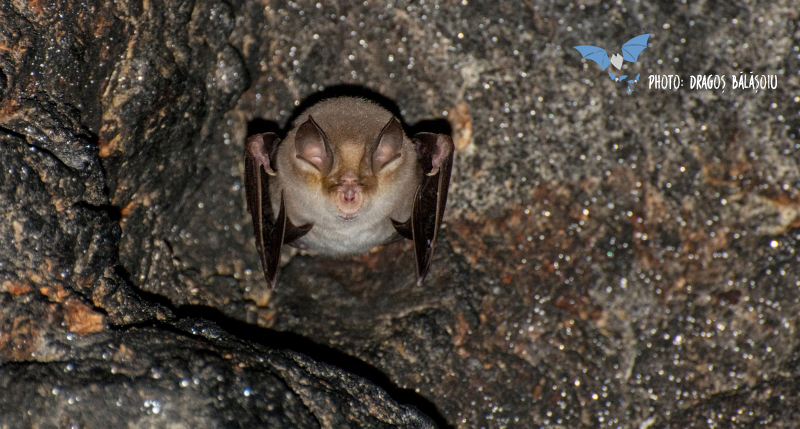 Adult bats seem to have brown-dark circle of hair around their eyes, making the impression that they are wearing glasses, spectacles (1). However, this is not an identification key, since other species might also have often such „glasses”. The species is an exclusive cave-dweller, preferring warm caves or other underground shelters (ex. mines, bunkers) located below 700 m altitude, and extensive karstic areas (1). 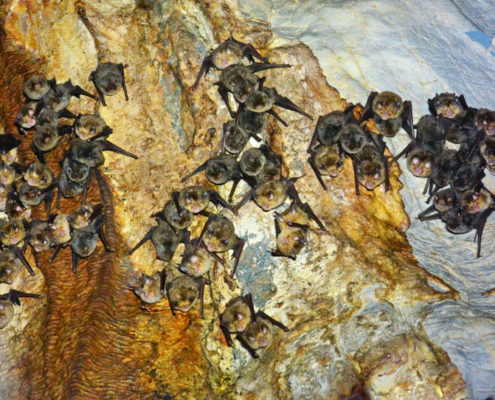 It often forms mixed colonies with other medium sized horseshoe bat species, and other cave-dwelling species. R. mehelyi hunts in a variety of habitats, from deciduous forests, steppe areas, pastures, sometimes farmland, and shows a clear preference for open habitats. Its diet consists predominantly (in over 94%) of moths (2, 3). Although sedentary in nature, R. mehelyi can migrate at distances of up to 94-100 km (1, 4). The species, being very sensitive, can be affected by the disturbance and degradation of underground roosts, but also by the loss of feeding habitats (pastures, meadows). 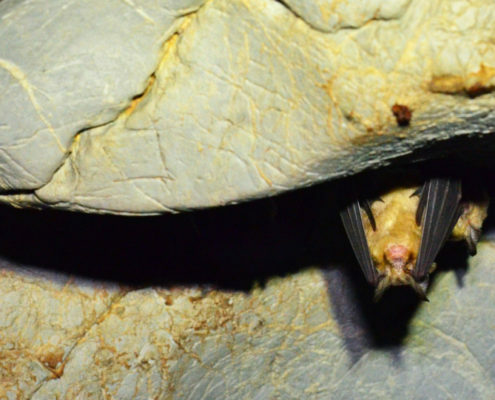 The Romanian population of the species, especially in the Dobrogea region was significantly affected by the loss of roosting sites, mainly caves, due to the high frequency of uncontrolled cave visits. Intensive agriculture largely contributed to the modification/fragmentation of feeding areas (5). The drastic decrease of colony size (from over 5.000 to a few hundred) in Dobrogea is also combined with low genetic variability (6), and can lead to the extinction of this regional population in Romania. Although new colonies and distribution areas have been recently discovered (5), the preferred habitats of the species (deciduous forests, steppe areas, etc.) remain threatened. The total European population is around 50.000 bats (1), while the Romania population is likely to be less than 1.000 bats. 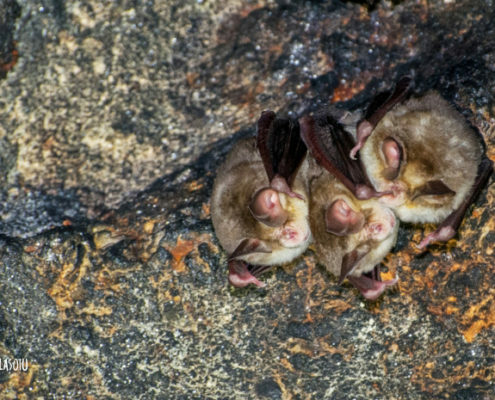 Due to its fragmented distribution and significant population declines, IUCN classifies Méhely’s horseshoe bat as vulnerable (7). Dietz, C. & Kiefer, A. (2016): Bats of Britain and Europe. Published by Bloomsbury Publishing PLC 2016-01-07, United Kingdom. Valenciuc, N. (1971): Date privind hrana şi procurarea acesteia de către unele specii de chiroptere din fauna României. Studii şi Comunicări, Muzeul de Ştiinţele Naturii, Bacău 353-357. Salsamendi, E., Garin, I., Arostegui, I., Goiti, U., Aihartza J. (2012): What mechanism of niche segregation allows the coexistence of sympatric sibling rhinolophid bats? Frontiers in Zoology 9: 30. Hutterer, R., Ivanova, T., Meyer-Cords, C., Rodrigues, L. (2005): Bat Migrations in Europe. A Review of Banding Data and Literature. Federal Agency for Nature Conservation, Bonn, 162 pp. Dragu, A., Borissov, I. 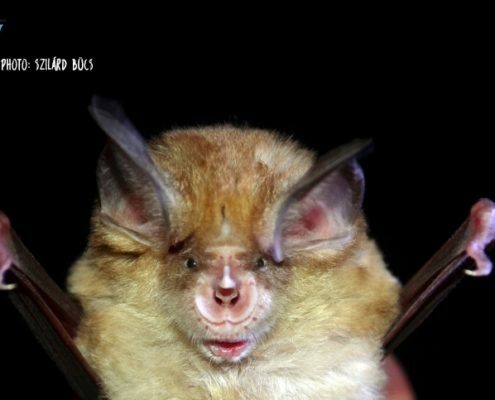 (2011): Low genetic variability of Rhinolophus mehelyi (Mehely’s horseshoe bat) in Romania. Acta Theriologica 56(4): 383-387. Alcaldé, J., Benda, P. & Juste, J. 2016. Rhinolophus mehelyi. The IUCN Red List of Threatened Species 2016: e.T19519A21974380. Downloaded on 10 February 2018. Bat of the year in 2018 How do bats see in darkness?